We wrote a few months back about what we thought was the inevitable change in men’s fashion—a move towards wider, looser-fitting silhouettes after we reached peak tightness. I wrote at the time that it seemed as though the market hadn’t quite caught up with the designers but now with the spring collections arriving this appears to be slowly but surely happening. Its not a deluge or anything like it—Mr Porter’s huge selection seems to have no more than 5 or 6 examples—but it is apparent that the major retailers are beginning to accommodate the look. With this in mind we decided to create a little glossary of inspirations, ideas and recommendations for getting in on the new looser look. 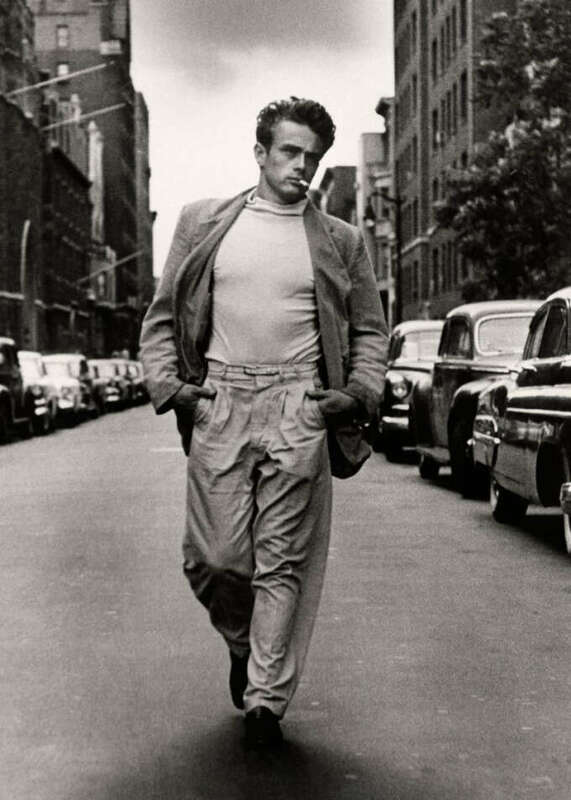 Actor James dean, pictured in Wide leg chinos with pleats paired with equally voluminous jacket and trousers. One of the difficulties of adapting to the new style is one of proportion, those tight and short jackets will look very out of character with wide leg trousers so keep it in mind. 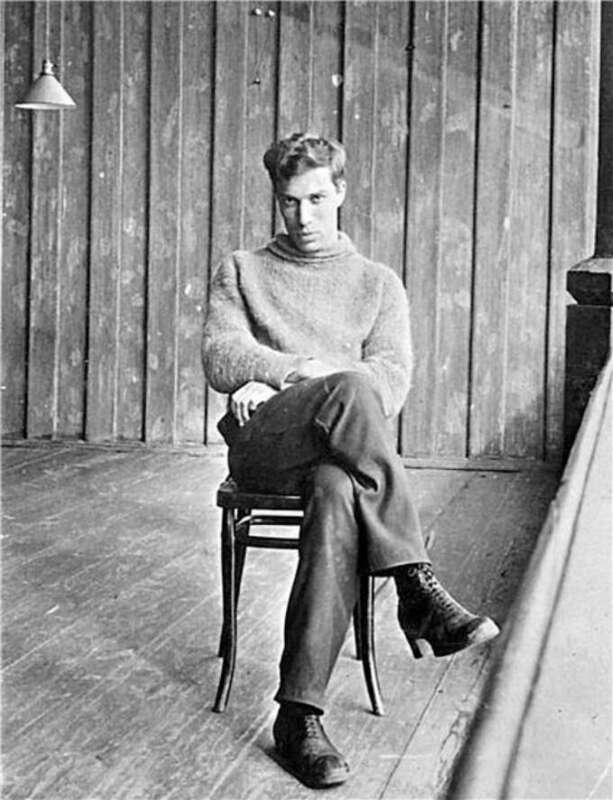 Writer Boris Pasternak, the Russian author of Dr.Zhivago pictured as a young man in the 1930s in some loose (but not wide) trousers and a rough roll neck. 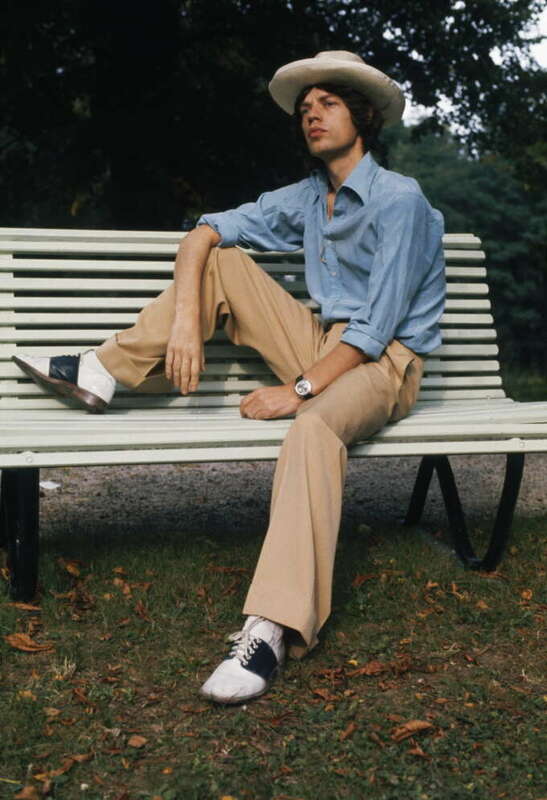 Singer Mick Jagger, showing that a shorter man can pull off wide legs. The secret is proportion, the shirt jacket and trousers all have to work with each other. 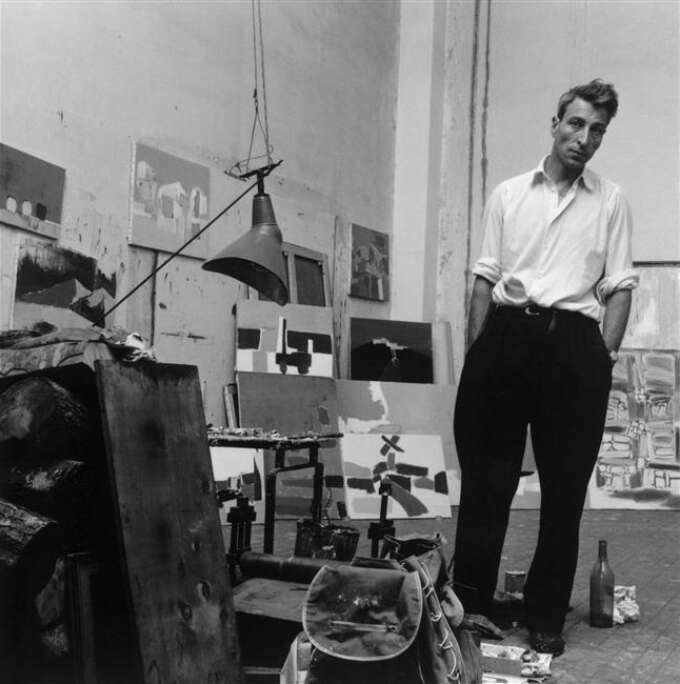 Artist Nicholas De Stael, I love how simple this look is. A loose fitting white shirt with wide dark dress trousers and a belt. When you’re wearing loose fitting clothes less is more, the silhouette is dramatic enough in its own right. 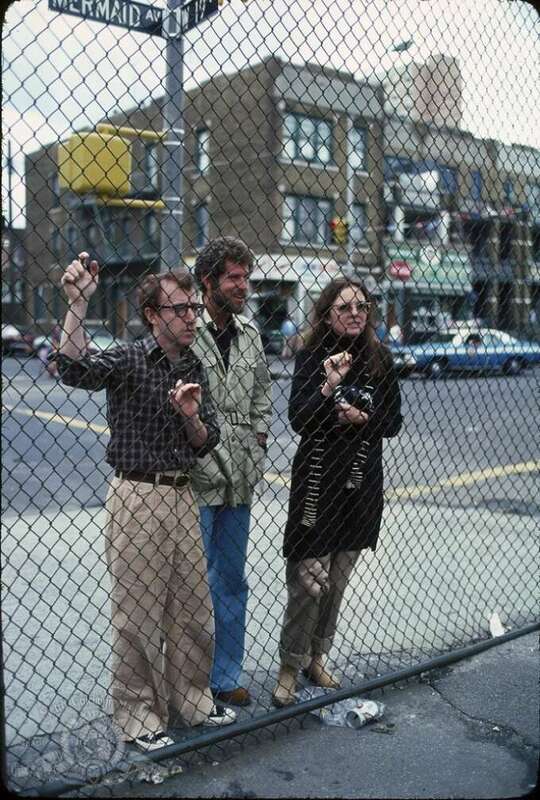 Film director Woody Allen has made a trademark of his 1940s influenced style with wide trousers, chunky shoes and textured fabrics. If you can own it as hard as he does then it can work. Shirts should be tucked in, banish the ghost of 1990s sloppiness and emulate the smart look of the 1930s. Proportion is everything, shirts and jackets should fit looser and longer and knitwear generally shorter and trim. Check out the 1980s television series of Brideshead Revisited for reference. Very loose trousers will look better on a taller man. 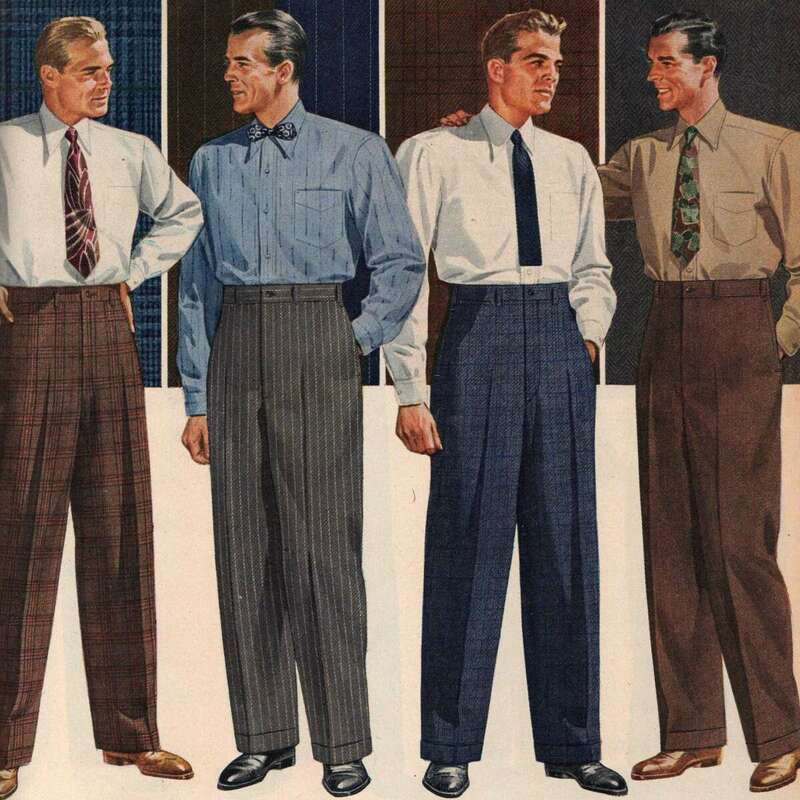 So if you’re 6ft or less you’re better off with regular or pleated trousers, or ones with a significant crop. Cuffs are generally needed for balance, loose trousers worn to just above the shoe never seem to look right. Shoes generally need to be beefed up to match the width of the trousers. Clan trouser available from Closed. A collaboration between venerable Japanese department store United Arrows and German brand Closed. These are the perfect pants for getting into a wider silhouette. They are loose without being sloppy, pleated and nicely tapered in a way that makes them work with slimmer wardrobes and figures. 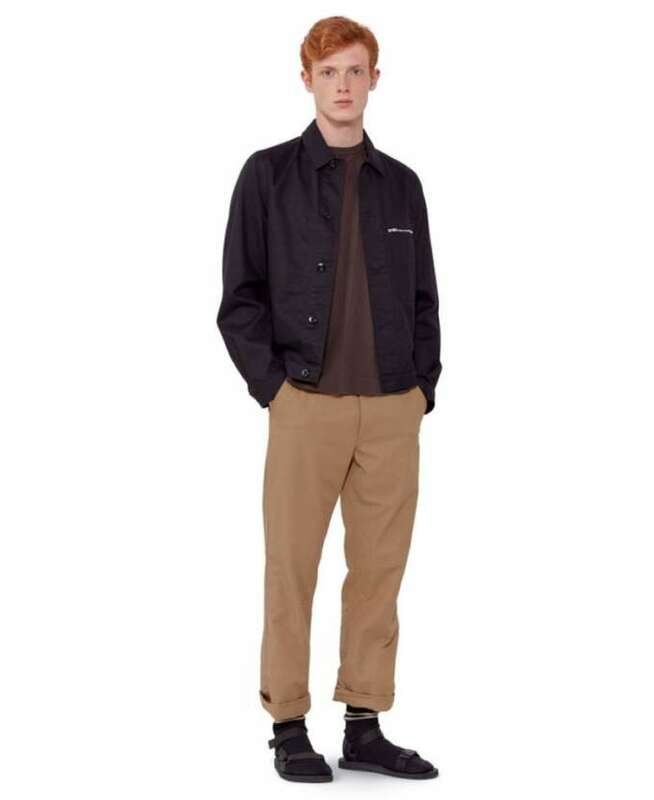 Field trouser available from E.TAUTZ. The opposite end of the spectrum, these are proper 1940s military style chinos with a huge width and heavy fabric they take serious gusto to pull off. They also manage to look quite traditional and could fit in with an otherwise conventional wardrobe. Recommended for men 6ft and up. 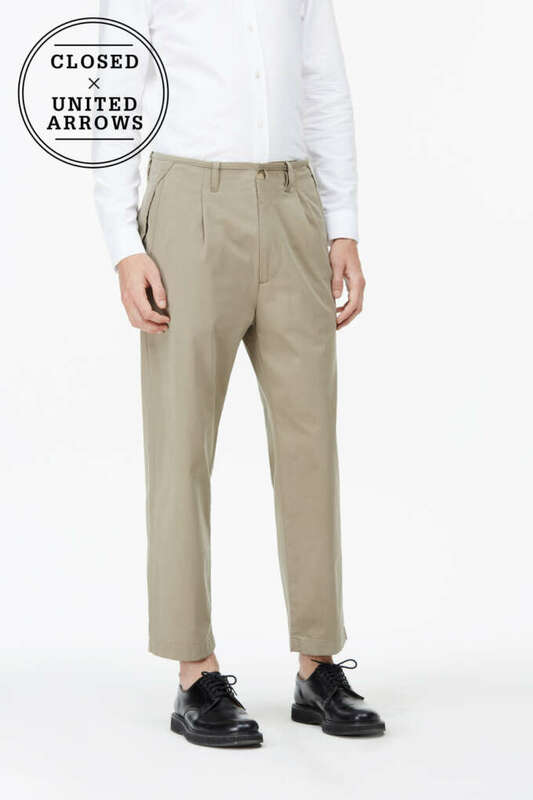 French pleat pants available from Officine Generale. 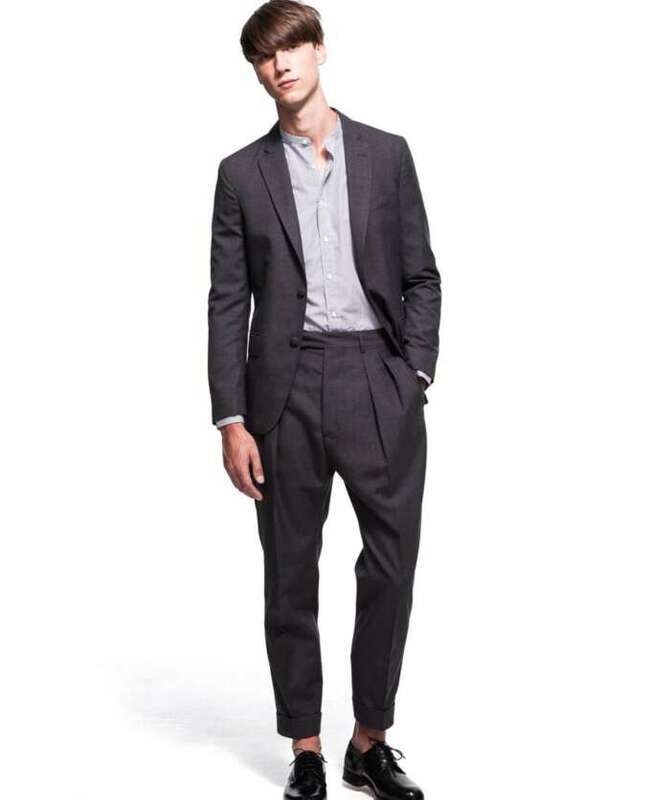 This suit is a more formal take on the pleated trouser with deep French style pleats from Officine Generale. More elegant than the others and fitting as a transitional item pairing with a slimmer wardrobe. 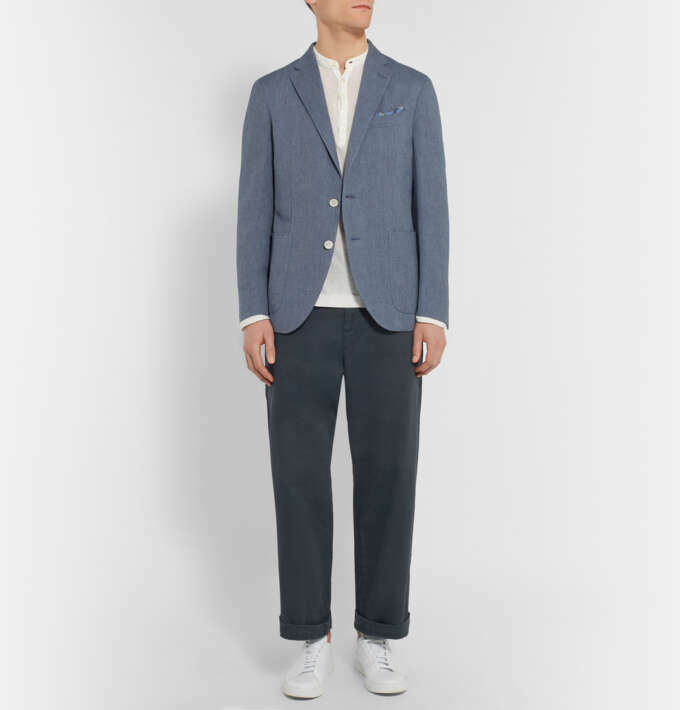 Barena wide leg brushed trouser available from Mr.Porter. 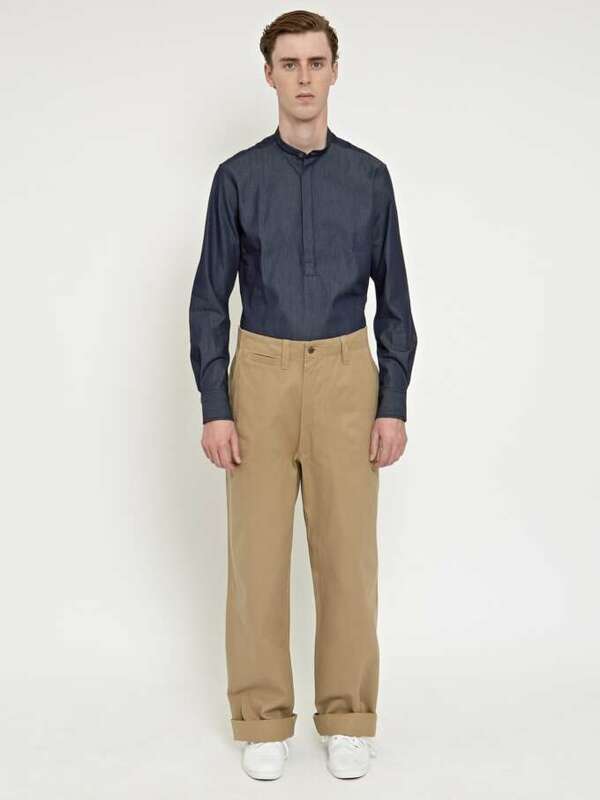 For those not enamoured with pleats and not confident they could pull off the substantial volume of the E.TAUTZ trousers should look no further than Italian brand Barena’s somewhat workwear rendition of the same style. Wide without being too notable, with a subtle elasticated waistband and nice blue grey colour. MHL utility trouser available from Margaret Howell. The British designer Margaret Howell never abandoned her love of generous silhouettes in menswear even at the height of the skinny trouser boom and it makes sense that she has some of the best options available. Several trousers from her current collection would fit this guide but I've chosen the utility trouser from her MHL sub-line for its ability to bridge the gap between the wide leg fits and slimmer models without using pleats. A nice detail is the winch on the back for adjusting the waist. Hopefully with this guide we've inspired you to dip a toe into the waters of more relaxed fitting clothing. There isn't a surfeit of items available at the moment and unfortunately more affordable high street options are rare but by being aware of the changing tide and incorporating them into your wardrobe you’ll be able to weather the changing fashion without too much disruption.